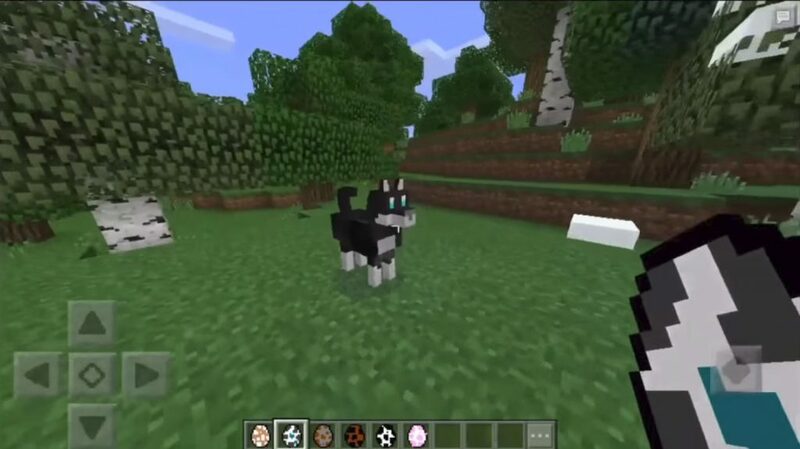 Well, dog lovers, we hasten to please you with the More Dogs mod which will add six new breeds of dogs, replacing only 3 mobs of the world Minecraft PE. Now in the game you can tame 5 popular dogs from real life! Maybe there is even among them your favorite breed! To tame one of these dogs in the world of MCPE, you need to give her some bones. 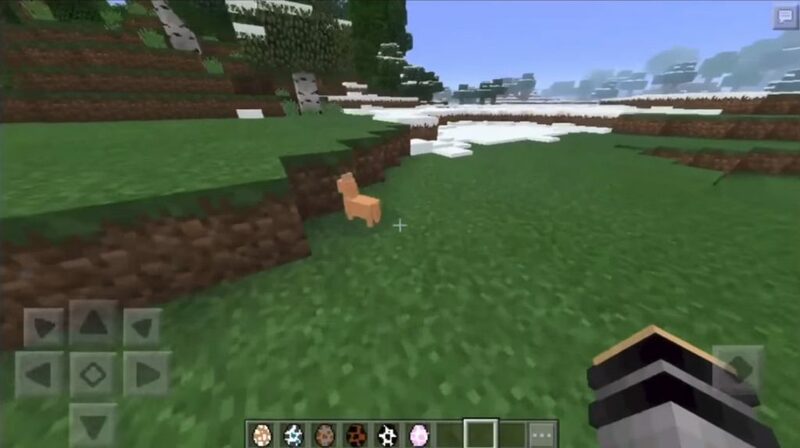 After this, you can take them for a walk around the world of Minecraft Pocket Edition, play with them, and if it’s a poodle, then even customize its appearance! The first thing you need to do is find these dogs in the world of Minecraft PE. Because they replace vanilla mobs, they will naturally spawn in your world, well, or you can use spawn eggs. To become the owner of a dog in the world of MCPE, you need to tame it. This can be done by feeding the dog some bones. Once you do this, you will see the hearts around the dog. Once you have tamed the dog, it will automatically follow you. However, if you want to get even more control over them, you can put them on a leash. The Poodle has some additional functions, because it replaces the sheep. For example, you can color the dog using any type of dye. You can also give it a new haircut using scissors.